Jealous of the view that your neighbor across the hall and five floors up has? 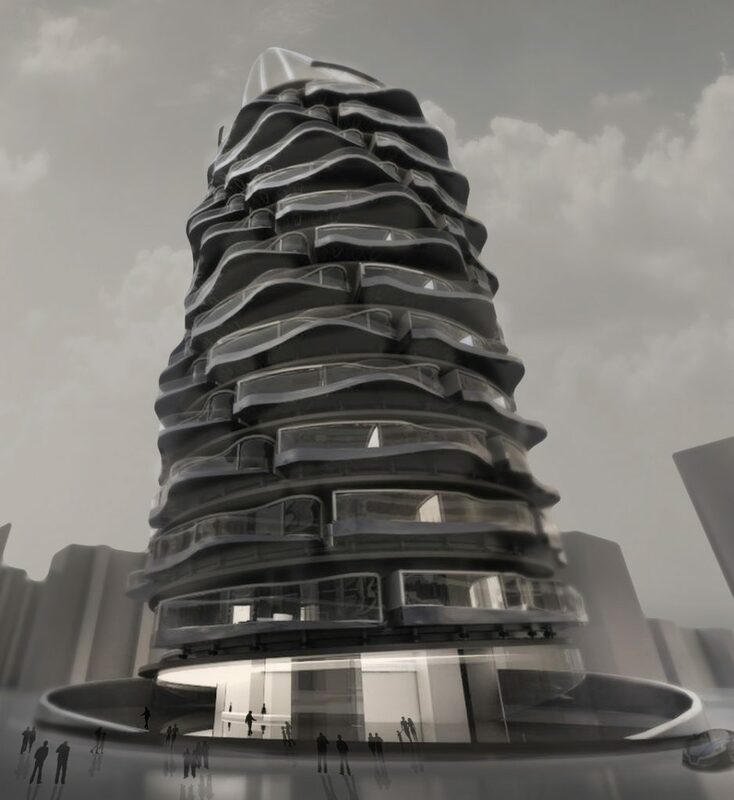 Get ready for the spinning apartment building, offering truly panoramic views for each and every resident. 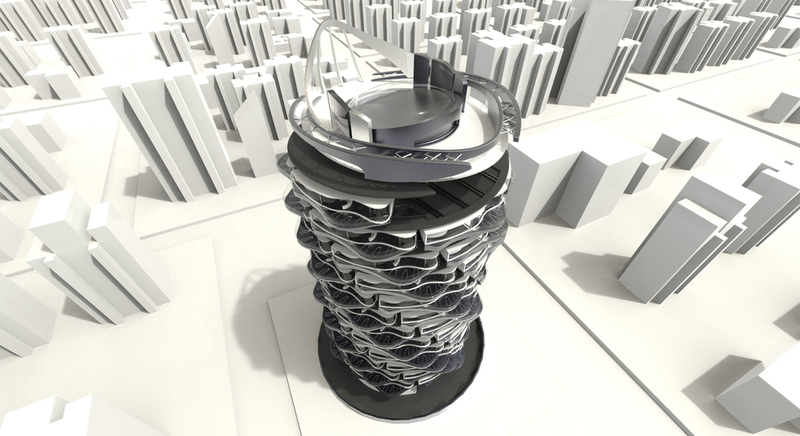 That is the 360-degree vision of industrial designer Shin Kuo whose “Turn to the Future” concept imagines a residential high-rise with units built on a spiral rail around a central pillar. As if attached to a corkscrew, each apartment would gradually spin down towards the lowest point, where a crane would then ferry it back up to the top. Each unit’s utility and plumbing systems would automatically detach before moving and then reattach in new ports at each destination. A full view cycle would take some time — more than a couple of months. Kuo concedes his concept is not based on current-day technology, rather it’s a hopeful of the future in which penthouse views are no longer reserved for the ultra-rich.